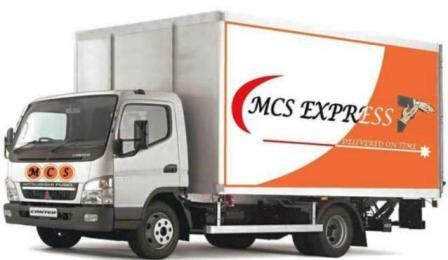 Since 2005, MCS Express, has offered domestic ad transportation services. The company was founded to serve the business of petty errands but quickly adapted ot serve all industries. 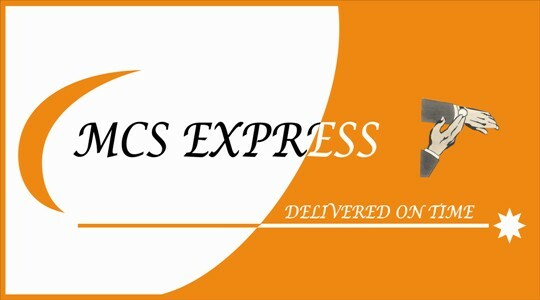 MCS Express was formed on the premise of giving excellent, personalized services to all clients. This philosophy has allowed MCS Express to grow and expand operations across the country. Today the company is well positioned for continued growth and expansion to meet our customer's requirements. A team of dedicated, friendly professionals. with various levels of expertise and vast resources we have become known as a one stop shop solution for freight movement locally and internationally. Local and international courier a courier service with a difference . We place a premium on personal relationships- We know what you want, and how you want it. To be the best logistical solutions provider, ensuring top class service at competitive tariffs. To create opportunity not only for us but also helping to develop companies and entrepreneurs in our industry by exposing their strengths to clients who they would not normally, give the client solutions regarding their logistical needs. This paves way to focus on what is truly important at the bottom line. We learned a long time ago that the phrase, time is money has been replaced with “Timing is costly”. Our goal is to master the art of timing so that it manifests itself at the right time, in the right place. This skill will naturally save our clients time and money providing yet another powerful tool to allow them to succeed. To provide a one stop logistical solution in all forms of freight movement and distributions, committed to customer service and satisfaction as our number 1 priority. To provide the very highest level of information services relating to transport of documents prcels. We shall listen to our clients needs and respond.